2019 is HOPE’s third year as a charity partner of The Calcutta Run. Now celebrating it’s 21st year, the Legal Fundraiser has raised €4 million in that time. This years run takes place on 18th May. The fundraiser was originally the idea of Eoin MacNeill and Joe Kelly of A&L Goodbody. In January 1999, Eoin and Joe approached the Law Society to explore ways of bringing the legal profession together to create an annual fundraising event to support homeless children in Ireland and in Calcutta. They met with Ken Murphy, who introduced them to Cillian MacDomhnaill and the idea of Calcutta Run was born! Eoin, Joe and Cillian are still centrally involved in the Calcutta Run today. Spurred by the success of the inaugural run in 1999, the event has grown from strength to strength and now accommodates walkers, runners, cyclists, soccer players and tennis players, with events taking place in Dublin, New York, and Cork! In 2018 the organising committees target of €300,000 was reached, bringing the total raised to an incredible €4m over 20 years! Why not walk or run the 5k or 10k route, or cycle either the 50k or 100k routes on Saturday, 18 May? Afterwards, wind down at the renowned Finish Line Festival where you, your family and friends can enjoy a BBQ, bar, vintage stands, and DJ, as well as kids’ activities in Blackhall Place. You can also take part in the Cork run on 19 May! We are looking for volunteers for registration and stewarding who will act as the “face” of the Calcutta Run answering questions, giving advice and keeping an eye on your area. Volunteers will be free to enjoy the festivities after their shift! Being a steward means you could be asked to take on a variety of roles. Above all, it means being the eyes and ears of the festival – being alert, friendly and attentive at all times, and able to report any safety issues that may occur. 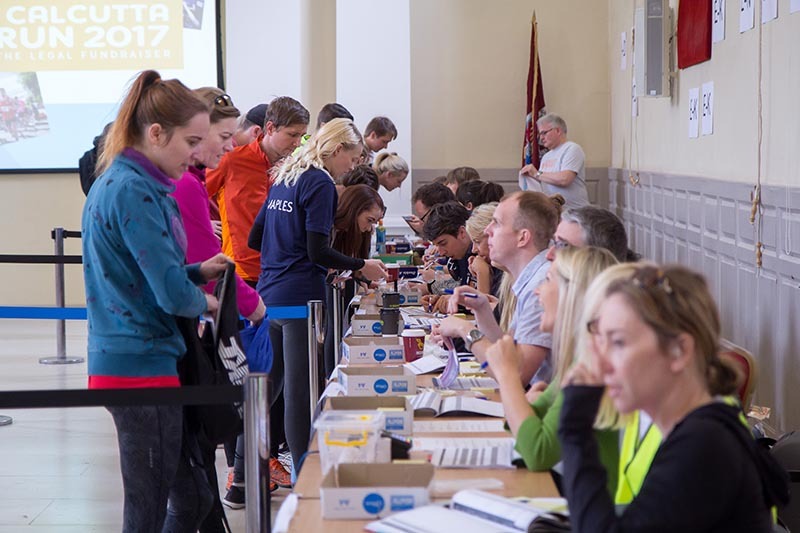 Volunteers will be required for registration and stewarding on Saturday 26th May from 9.00am – 1.00pm (free post run BBQ after 1.00pm) Volunteer stewards must be over 18 years of age as per Garda requirements.